Hi loves! I'm back with some Dance legend swatches today! 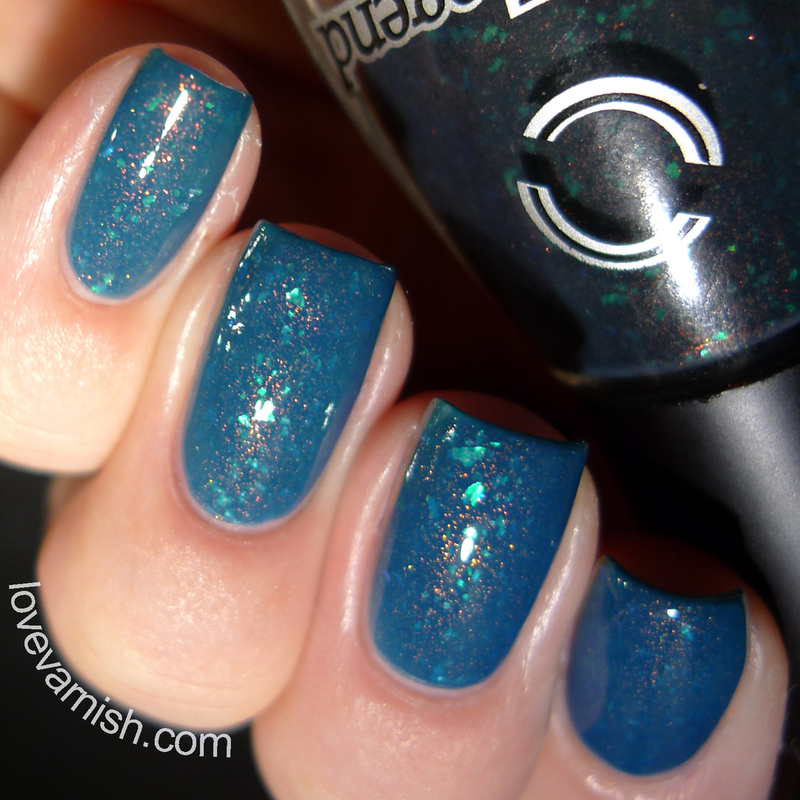 A while back I received Dance Legend Rain from the Mortal Kombat collection as a sample, and then I ordered Sub-Zero from Hypnotic Polish when it was restocked, so I decided to show them both to you in 1 post! Oh yes, these are thermals! The Dance Legend Mortal Kombat collection consists of 3 limited edition shades. They are still available in the Dance Legend webshop! Each shade is lighter when warm and turns dark when cold, which really highlights the beautiful shimmer and flakies present in each polish. Dance Legend Rain goes from a bright berry purple to a very dark raisin color (basically black when it's super cold). The flakies are a fiery red/orange color and there is a copper shimmer in there as well. It settles on a lovely grape purple color on my nails most of the time. The formula is on the thin side and I used 3 coats to be sure it'd be opaque in each state. Make sure to finish with a nice topcoat, since the flakies tend to create a slightly uneven surface it needs some smoothing! Dance Legend Sub-Zero goes from a bright blue toned teal to black. The flakies are blue/green in tone and the same copper shimmer is added here as well, contrasting so beautifully with the base! It settles on a medium blue toned teal on my nails most of the time. The formula is even thinner than Rain, but 3 coats were enough for full coverage. Same thing about the finish, it's a bit uneven so use a nice thick topcoat! While the formula wasn't exactly what I hoped for, it doesn't matter to me at all. The end result is so pretty! Both shades transform quickly under different temperatures and the addition of the flakies and the shimmer? Yeah, genius! So I'd still recommend both shades, but maybe Rain even more - the purple shade is just perfect for Fall! What do you think of these 2 thermals? Tell me in the comments!